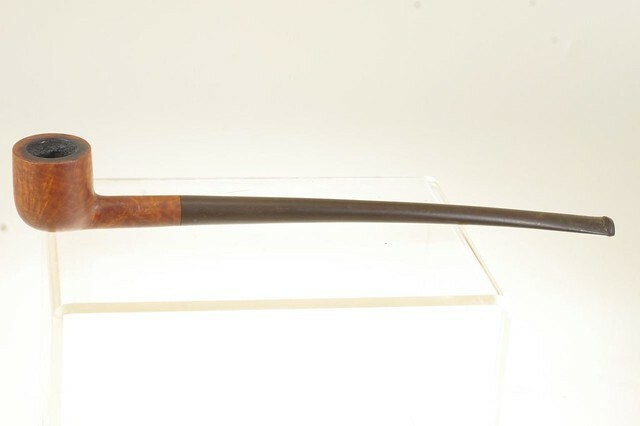 This is the first Brigham Churchwarden I have ever seen. Charles did his usual great job. Thought I would share it with you all! Happy New Year, everyone! It has taken me a bit longer than anticipated to get rolling on restorations and other posts for 2017. Surgery just before Christmas and renovations to my pipe room throughout December have delayed such endeavours until now, but I’m finally able to get back in the saddle and I’m itching to share a fresh pile of estate pipes that has been building since November! Never having seen a Brigham churchwarden (nor any reference to one’s availability) before, I was somewhat skeptical going into this. Could it be genuine or was the long stem more likely an aftermarket modification? This entry was posted in Pipe Refurbishing Essays on January 6, 2017 by rebornpipes.